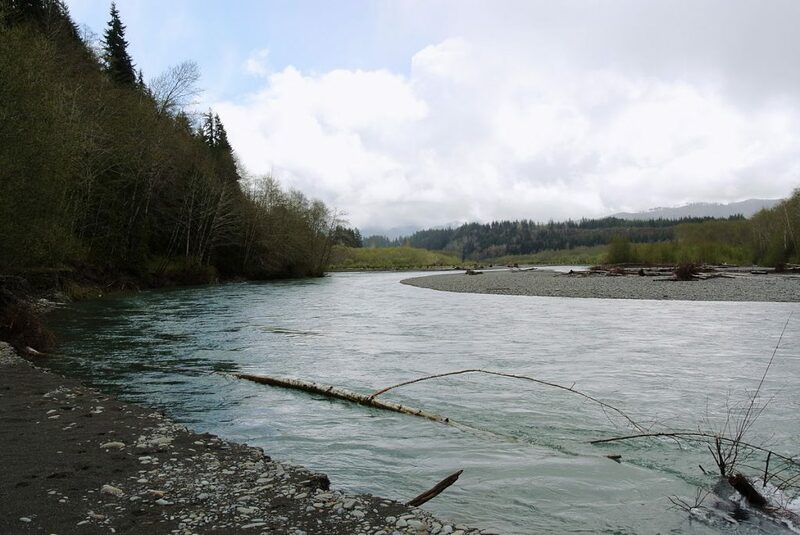 The Hoh river is one of the true hotspots for Salmon and especially Steelhead fishing. Located in the Olympic Peninsula rain forest the Hoh has provided anglers some great fishing for generations. Hoh river fishing access is about 12 miles outside of Forks, WA and is known to be one of the best steelhead fishing spots in the state. The Hoh river offers Sumer and Winter run Steelhead and Fall Salmon was well. Salmon season generally runs from May to November and November through Feb is prim steelhead fishing. This fishery generally allows 6 Salmon per day, 1-2 adults depending on the time of the season. Min size of 12″ in length. Steelhead 2-3 per day depending on the season. Sand Shrimp and Salmon Eggs. Top Recommendation for this location is a steelhead jig, next is an orange corky and yarn and lastly an orange or pink blue fox spinner #4. Sniper! Maybe you see other fishers Maybe not. Hoh River Water Levels are provided by the United States Geological Survey data system.